Working closely with our clients, our dedicated in-house detailing team create the drawing packages and information required by our production team to efficiently manufacture our client’s steelwork needs, with the option of working hand in hand with our sister company eClad to provide a seamless and quicker site build. Catering primarily to the construction industry our dedicated team are committed to providing a quality service on time, every time. Furthermore, with onsite NDT provided by eTest and shot blasting and specialist coatings provided by eBlast, we can offer a complete service all from within our Kintore facility, removing the timely and often costly burden of transportation to other locations. 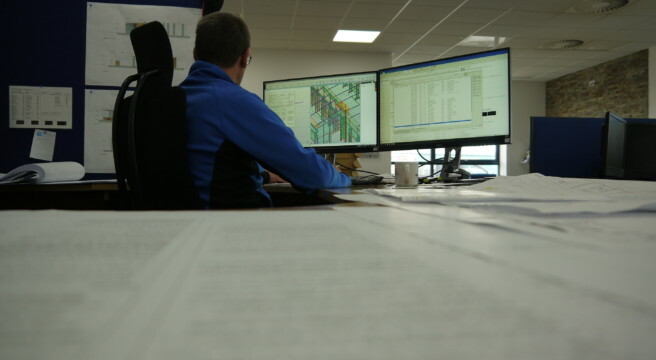 Our highly experienced technical team work hand in hand with the client’s design team to produce high-quality Tekla modelled drawings for use by our fabrication & site teams as well as our clients. 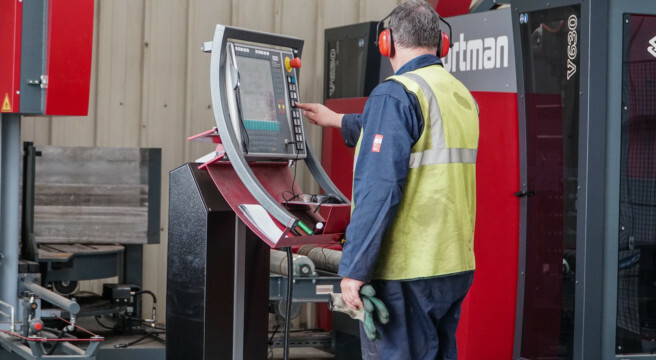 Utilising our extensive CNC sawing, drilling and thermal cutting machines our team can produce precision cut steel in kit form for our clients or in-house fabrication team. We hold a wide range of stock plates to offer a 24-hour service to our clients. With our roots being in the structural steel industry, we have over 40 years of experience in fabricating and have been assessed to Execution Class 3 of BS EN 1090. 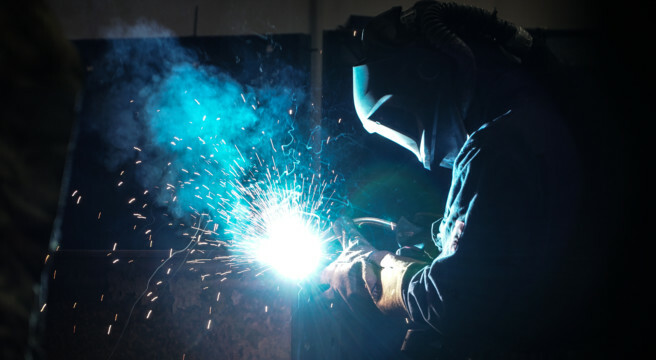 Our highly skilled welders also manufacture structural steelwork for the oil & gas industry. 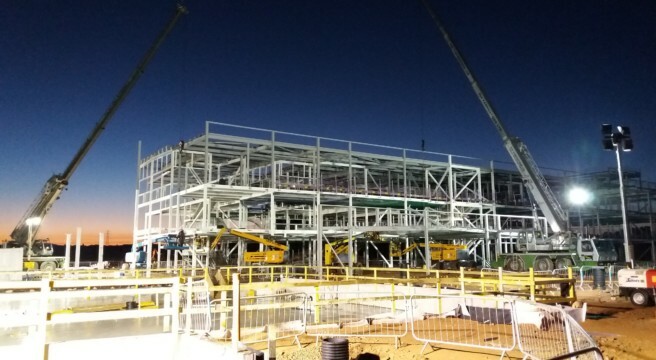 Our site erection teams have decades of experience in safely and efficiently erecting steel structures for the agricultural, commercial, industrial, residential and health & education sectors. From modest structures to 1000+ tonne projects, the team have the expertise and knowledge to work with all clients. The job was done in a timely and professional manner with the welding quality exceeding our expectation. All documentation was handled in a professional and clear manner, we would definitely use the service again. We don't have a lot of goods that require welding however we were impressed with the quality of the work provided. The prices and turnaround were very competitive and I would definitely look to use eFab the next time we require welding. I am delighted with the service I get from eFab, I've never been let down even with tight timescales. The hours that have been saved by eFab doing all the profiles and drilling is unmeasurable.